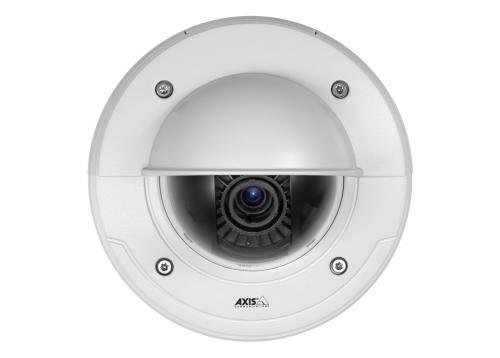 The AXIS P3346-VE 'Professional Series' IP Webcam is a 3-megapixel day / night fixed install dome network IP camera with the video performance you'd expect of a professional or commercial grade high definition camera. Delivering full frame rate HDTV 1080p 1920x1080, Multiple H.264 streams and simultaneously Motion JPEG streams, digital pan/tilt/zoom and multi-view streaming, remote zoom angle of view and remote focus. The camera also features wide dynamic range settings and day/night IR cut filter enables clear images both in daylight and in dark night lighting conditions. A new revolutionary precise iris control system designed by Axis that provides optimal image quality in all lighting conditions called AXIS P-Iris is incorporated into the P3346-VE. This system provides images of better clarity, contrast, resolution and depth of field which manifests in objects at different distances from the camera being in focus simultaneously good for the video monitoring of a long side passage or backyard.